I just love the name of this collection!! The Snow Delightful collection with those CUTE critters in scarves just makes me squeal with delight! (Yes I am making a quilt for my soon to be born grandson with this!) I've combined these critters with some colorful pieces from Just Color and another red, (like in the cute sweater the raccoon is wearing) to round out these playful fabrics. These bundles each have 7 pieces. 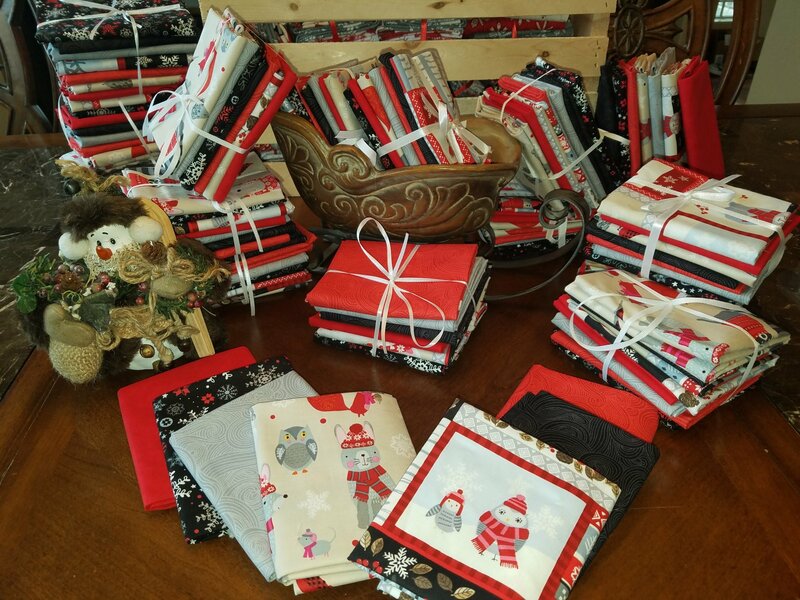 And please do email us with a picture of your quilts you make from any fabric that you buy from MyQuiltingLoft!! We'd love to share them on our Facebook page!